Description: A young woman collapses on the disco dance floor of what’s revealed to be strychnine poisoning. 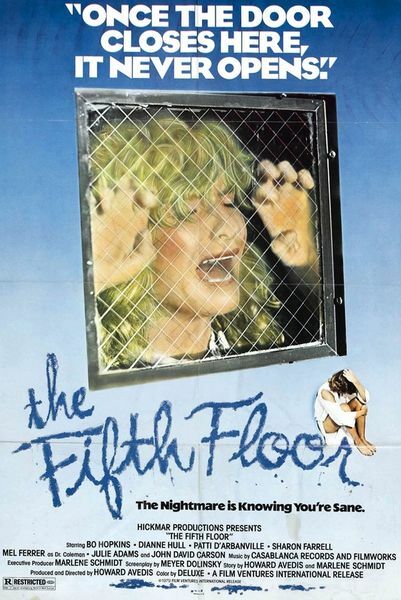 Assuming that this is an attempt at suicide, her boyfriend and doctor have her committed to the Fifth Floor, an asylum with obviously crazy inmates and a predatory orderly. The problem is, she’s still sane! Tagged 1970s, English, Exploitation, USA. Bookmark the permalink. The gems you continue to find! Kudos on a great site! Thanks man – so great !! !